I'll have to balance the MCU on this site by voting for Shazam, despite not seeing either movie yet. Could Iron-Man cut Superman in half with his laser? But you know who he can cut in half? Weakest character in MCU that can defeat Goose from Captain Marvel? Which heroes would kill a baby/kid/child if they see this child will become a big threat to entire earth in the future? Professor X did it a few years ago. Went back in time and prevented a guy’s parents from meeting. It was an Alpha level mutant who killed most of the X-Men. is that the same as killing a baby to you? Move over Superman, the better Superman is here and his name is SHAZAM! @captainplanet_2: The first actually good DC movie? 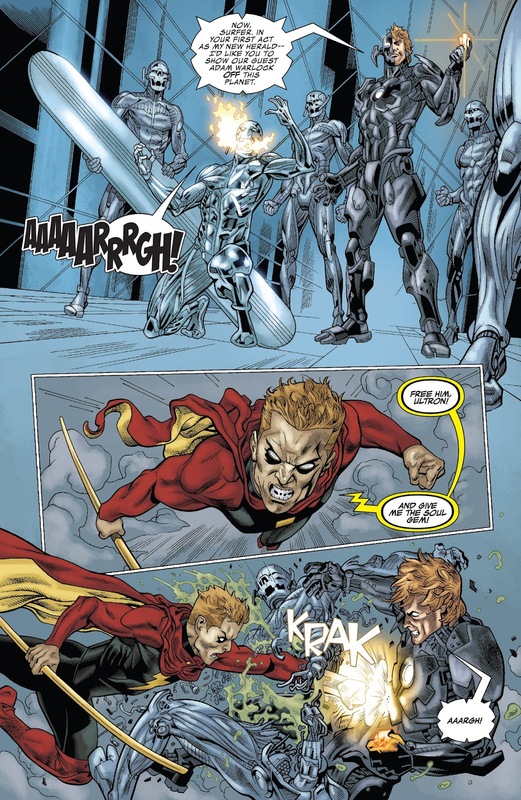 Also speaking of Ultron (Phalynx) , didn't Ultron get beaten down by Technarch Warlock while in Adam's body? plus c'mon that's easily PIS we've seen Surfer take wayyyy harder hits than that. Also Quasar's system was short circuited, it's even written in the scan. That was 2 or 3 incarnations ago for Warlock and each incarnation he is meant to become more powerful. That was also one of the most powerful versions of Thor in terms of how he was being written at the time. That was a version of Warlock which also no sold an attack from a pissed off Galactus.